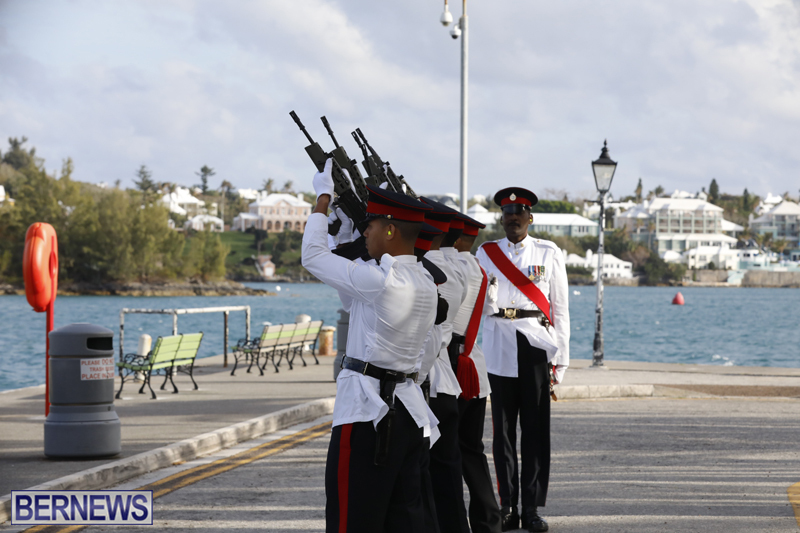 This evening, the Royal Bermuda Regiment fired a Gun Salute to commemorate the Royal Birth of the Duke and Duchess of Cambridge’s third child. The royal baby, who was born yesterday, is fifth in line to the British throne, after grandfather Prince Charles, father Prince William and two siblings. The newest addition to the royal family is a younger brother to Prince George, 4, and Princess Charlotte, 2, and is Queen Elizabeth II’s sixth great-grandchild. 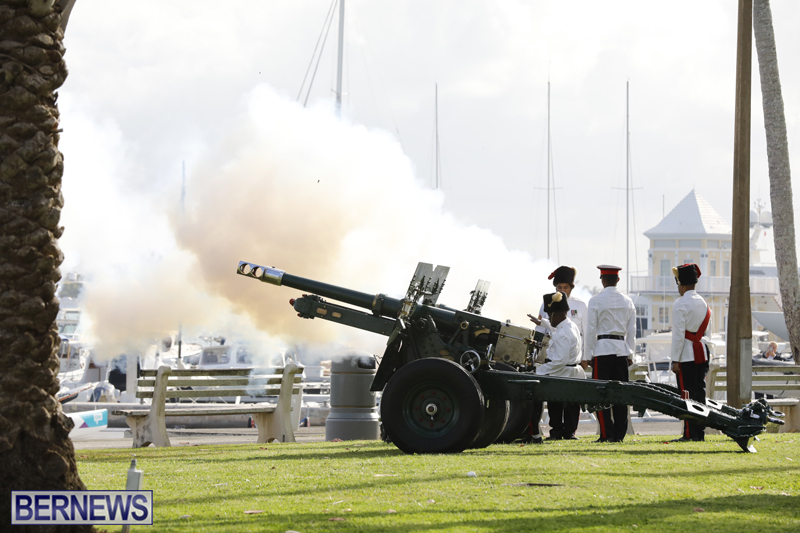 The Gun Salute was held at Albouy’s Point in Hamilton this evening [April 24], with the Governor having instructed the Royal Bermuda Regiment to fire a Gun Salute and rifle volley to mark the Royal Birth. The Regiment has marked Royal Births on two other occasions in recent times: 22 July 2013 for the birth of Prince George and 2 May 2015 for Princess Charlotte. you lot fire cannons to celebrate the birth of another oppressor. Smh. Our ancestors should be ashamed of us. Only if we remembered how they treated us for 400 years stole our identity and gave us their names and kulture. We wonder why our youth shoot guns while we shoot cannons to celebrate. I would be interested to know how much this show of colonial pride cost the tax payers of Bermuda. In these financial times, this can only be classified as irresponsible. awaiting the arrival of my 1st grandson….can I hire dose bies to hook me up?